It’s fun stuff that has serious scientific purpose. New research is delving into our genetic past for insights about our health today. But before anyone drags their knuckles across the cave floor with the mistaken notion that genes dictate behavior, let’s be clear: Individual bad decisions, not prehistoric propensities, can be detrimental to good health, especially when it comes to two destructive and potentially deadly acts: smoking and bad driving. If any mystery surrounds why humans keep taking plants, drying them, then setting fire to them, and inhaling the byproduct, new research offers a primal clue. 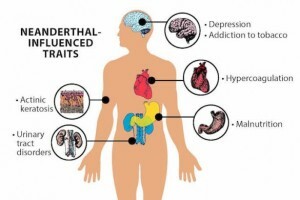 It turns out that those of Eurasian descent may have significantly increased risk for nicotine addiction due to genes inherited from Neanderthal ancestors. Over millennia, these distant forebears adapted to stressful conditions or “borrowed” adaptations, with their genes encoding valuable mutations to protect and preserve the species. 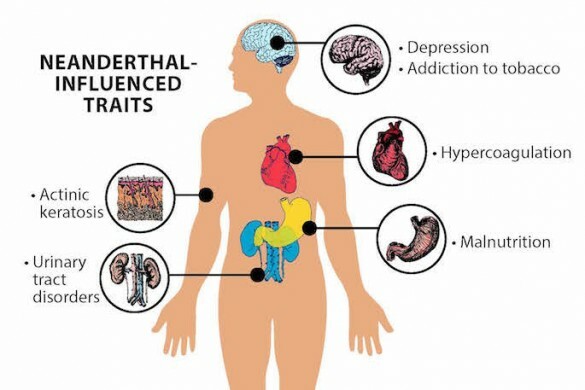 On the plus side, early humans picked up shields against pathogens and too easy bleeding; on the negative side, with Neanderthals in particular, the species also became sensitive to nicotine, other allergens, skin inflammations, and depression. Researchers are still determining why. Their latest studies took advantage of powerful computing to scan health records of 28,000 modern patients; their data, protected so individuals could not be recognized, provided genetic and health condition information. 4 percent of mothers smoked at any time during pregnancy. The highest smoking rate was in the first trimester. Groups with the highest pre-pregnancy smoking rates also had the highest smoking rates at any time during pregnancy, including women aged 20–24, unmarried women, and Native American women. Smoking rates were higher for women with less than a high school education, with Medicaid insurance, and receiving women, infants, and children (WIC) benefits. On average, women who smoked during the first trimester of pregnancy smoked a little more than one-half pack per day (11 cigarettes), ranging from a high of 11 cigarettes for non-Hispanic white smokers to seven for non-Hispanic Asian smokers. Moms who smoke not only harm themselves but also increase health risks for their unborn children. I’ve written before about smoking’s huge health toll for us all. Meantime, another surprising culprit is causing an unhappy uptick in fatalities for Americans: our vehicles. The National Highway Traffic Safety Administration has warned that the nation, while seeing some of the lowest number of vehicle deaths per year, also has recorded a spike in road fatalities─an 8 percent year over year increase and only the second such surge in a decade. Accidents, including those involving cars and trucks, continue to be a leading cause of death in the United States. But the nation has made remarkable progress in reducing vehicular deaths, with vast improvements in safety features, design, and manufacturing. Some experts, especially with further technological advances racing on the market, including more autonomous vehicles, envision a “zero fatalities” era around the corner. Still, drunken, drugged, distracted, and drowsy driving remains lethal. Speeding, failure to use safety devices (seat belts, child seats, and helmets for motorcyclists), and recklessness all fuel road carnage. Experts say their research shows that human factors were the critical cause in 94 percent of vehicle crashes. An improved economy may be a key contributor with the spike in road deaths, as more Americans pile up miles and have social and work reasons to do so. It may be true that our caveman ancestors were predisposed to brawn over brain, eating, action, and movement. But let’s all take a deep breath and pause for the sake of our well-being. Reconsider your best driving practices, please, and stay safe out on the crazy roads.